Golf is the official sport of Scotland, and every year the country welcomes both pro and amateur golfers from far and wide. 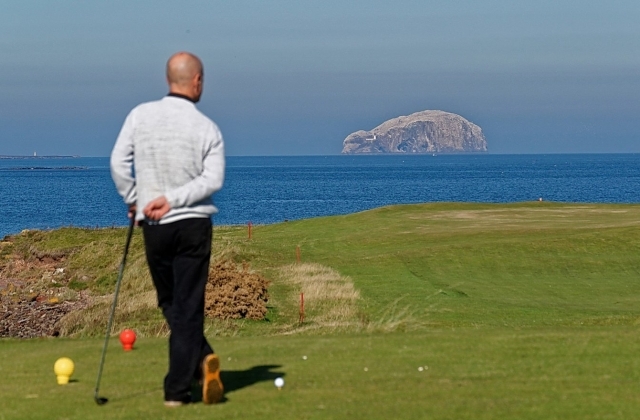 Seasoned golfers who have played in Perthshire, Fife or East Lothian will know that the spectacular scenery is this sporting nation’s most unique attraction. But when it comes to golfing in the Highlands, the landscapes are whole other level of beautiful. 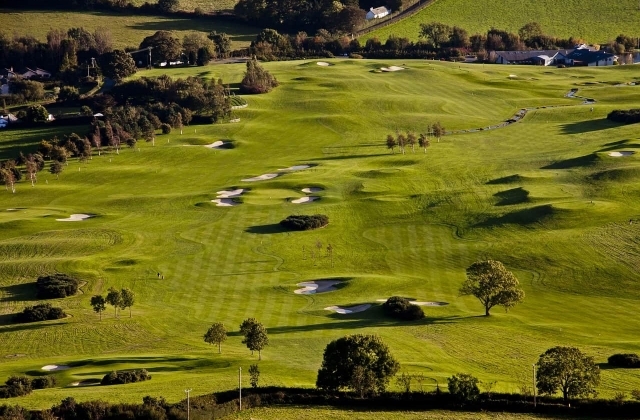 Royal Durnoch Golf Club has perhaps the most popular golf course in the Scottish Highlands. For many, this is Scotland’s definitive links course, and views of the ocean provide a charming setting for those who enjoy being by the coast. Records show that the course dates back to 1630, and golfers often comment on the authenticity of their golfing experience here. Over the years, the design has been changed by architects such as Old Tom Morris, J.H. Taylor, and George Duncan. 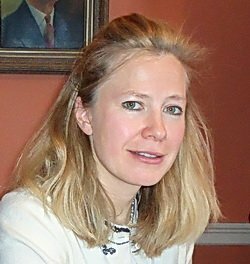 It’s also worth noting that world-renowned architect Donald Ross grew up in Durnoch and has a long history at the club as greenkeeper before he moved to the US. What’s particularly interesting is that Durnoch is not a perfect course, yet it’s such a prized location for golf enthusiasts – and the views really don’t get much better! Featured Property: Located just over an hour away by car is the stunning Aldourie Castle (which can sleep up to 28 people). This is one of Scotland’s finest castles and is ideal for a luxury golfing trip, special occasions, corporate getaways and more. 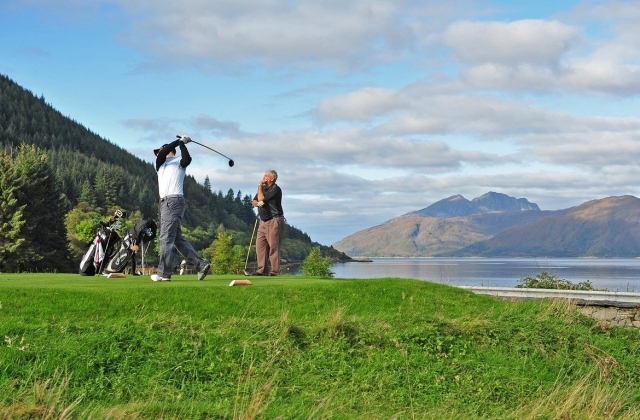 It has its own private marina on the shore of Loch Ness, and non-golfers can enjoy an array of outdoor activities. The Championship Course at Nairn is one of the country’s most underrated courses, though it has previously been ranked 11th place in Golf World Magazine’s ’Top 100 Courses in Scotland’. Whilst it’s the lesser known of the two, Nairn boasts the sort of views that can compete with Royal Durnoch and it’s certainly one of the nation’s finest destinations for a golf vacation. The views are simply to die for…..the Moray Firth can be seen from every hole and the green is maintained to immaculate condition throughout the season. The close proximity to the sea also brings a strong breeze to keep things interesting. 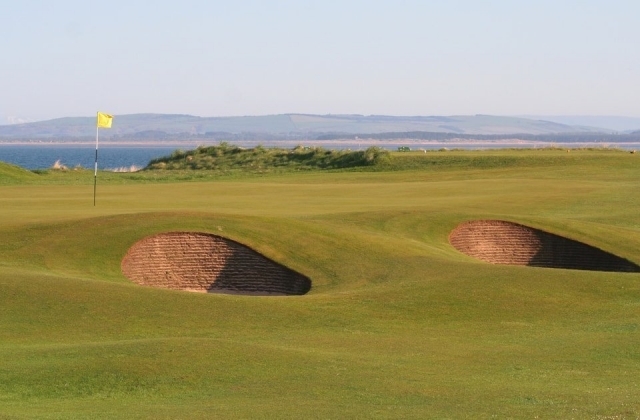 So if you’re looking for a thrilling and challenging course – one that has tested many amateur players in the Walker and Curtis Cups – this is a great course to visit. Nearby is the Nairn Museum as well as the glorious Nairn Beach which is ideal for walking or beachcombing. It’s also located close to our featured property at Aldourie Castle (around 50 minutes by car), making this course is a favorite for anyone staying in the Inverness / Loch Ness area. Another fantastic course in the Inverness area is Castle Stuart, set along the banks of Moray Firth and designed by Gil Hanse. Castle Stuart Golf Links opened in 2009, and it’s a course which many golfers consider to be a ‘modern classic’. Despite being relatively new compared to other traditional courses in the nearby area, the club has already played host to three Scottish Opens, and every year it attracts great golfers from around the world. There are in-season Play & Stay packages for those who want the best from the on-site lodging. And guests will be able to access the Clubhouse, a 350-yard practice range and short game area, as well as a putting green situated next to the golf shop and restaurant. Tee off here and you can take advantage of the wide fairways, giving you that added margin that is slightly more forgiving than Nairn. A great alternative for anyone staying this far north. For anyone planning a golf vacation in the Scottish Highlands, Boat of Garten has to make it onto your bucket list. Set within Cairngorms National Park, this golf club is surrounded by lush greenery and visitors will be able to enjoy views of the snow-capped Cairngorms mountain range. The charming town of Aviemore is also less than 10 minutes away, so there will be plenty to do in the local area. The course itself is designed by a grand master of golf architecture – British golfer and five-time Open Championship winner, James Braid. And it’s considered to be a course that offers true value for money, with challenging holes that go far beyond a typical resort layout. If you’re looking for a course further inland and away from the windy coast, Boat of Garten is ideal. Featured Property: This spectacular course is situated at the park’s northern edge and less than 2 hours away by car is one of our featured properties, Forter Castle. This amazing 16th Century ‘Fortalice’ sleeps up to 12 people and is conveniently located for golf groups wishing to explore both the Highlands and Lowlands of Scotland. Guests can also enjoy walks in the local area, horse riding, fishing, cycling, fine dining and whiskey tasting. Like the aforementioned courses, Macdonald Aviemore Spey Valley is listed as one of the top 10 North Scotland courses on Top100golfcourses.com, and it’s one of the few inland ones that really shine when compared to some of the famous coastal links. This moorland course, which has been designed by David Thomas, completes the Highland Championship triangle with Nairn and Royal Durnoch. It’s also very close to Boat of Garten for golfers in search of variety, and its premier location in Cairngorms National Park provides the perfect base for exploring the mountain range. You can get to the city of Inverness in less than 50 minutes, and Loch Ness is just as close. Some things not to miss for non-golfers in the Aviemore area are the Aviemore Ring Cairn and Stone Circle, the Cairngorm Brewery, and the RZSS Highland Wildlife Park. Located at the northern tip of Scotland near Thurso and John O’ Groats, Wick Golf Club is about as close to Orkney as you can get without leaving the mainland. Parts of this region are remote and beautiful, and you’ll have the best chance of spotting the Aurora Borealis at night. The course embraces a traditional layout and is a classic Scottish links course with nine holes out and nine back again. Each of the holes will take you alongside striking sand dunes, across rolling fairways and over well-positioned bunkers. And its timeless architecture makes it an excellent choice for both beginners and pros. In addition to the spectacular scenery, Wick is also home to a thriving population of birds, making it a popular location for bird watching. Just 30 minutes further up the coast from Royal Durnoch is Brora Golf Club – one of James Braid’s finest link courses in the Highlands. This delightful course has been established since 1891, and is a celebrated masterpiece with a well-considered layout. Great for traditionalists who want the classic out and back routing, and extremely enjoyable due to the scenic location. Enjoy lovely vistas of the sea and watch animals grazing on the surrounding grassland. In a way, Brora is one of the North Scotland’s hidden gems, as Durnoch is as far as people tend to venture. But if you’re a keen golfer with a swing that can handle ocean winds, traveling a bit further to Brora is a must. Although this course is not especially long or punishing, the breeze can be a challenge and when the wind blows, you’ll need to hold onto your hat! From Inverlochy Castle Hotel, you can also travel in the opposite direction and get to Newtonmore Golf Club in just over an hour. Located on the western side of Cairngorms National Park close to Laggan and Kinloch Laggan, this upper Spey Valley golf course has a beautiful layout and is kept in tip-top condition all year round. It is set alongside the River Spey has the Monadhliath and Grampian Mountains all around, and the course proves to be flat and easy-walking whilst also giving golfers a decent challenge. There’s just one par five but the tight par fours and tough par threes are more than enough to put your skills to the test. The fairways are narrow too, so you’ll be rewarded with good positioning and when you manage to keep the ball in play off the tee. For nature lovers, there is also an abundance of wildlife here. Many people enjoy bird watching in the local area, and the bustling village of Aviemore is just a short drive away. Further up the A9, you will also find the Macdonald Aviemore Spey Valley Golf Course and Boat of Garten. Featured Property: As well as the Inverlochy Castle Hotel, you can also book your stay at the fabulous Forter Castle. Available for hire for golfing groups, family celebrations or corporate weekends and popular for travelers who enjoy a variety of outdoor pursuits. From archery and air rifle shooting to axe throwing and crossbow firing, there are so many new things to try here! For traditional challenges and classic seaside links, Traigh Golf Course is the perfect destination during your upcoming golfing vacation. The course is set on a row of grassy hills, with the plush, springy and well-maintained turf that you would expect of an authentic links course. Whilst the design is subtle, the course can be somewhat challenging, even for the practiced. Accurate shots are a must, and even the most seasoned swingers will need to work hard for their scores. 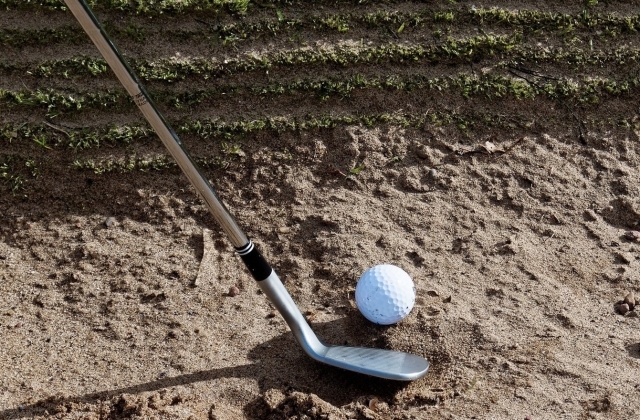 If you consider yourself a learner in the amateur department, not to worry – the holes still give high handicappers every chance to get it right. All in all, it promises to be a fun course for everyone whilst keeping players on their toes – especially when the sea breeze is at its most intense. What makes this 9 hole golf course truly remarkable is its location and setting, with awe-inspiring views from the fairways of the Hebridean Islands and overlooking the quiet beaches near Arisaig. To find out more about luxury golfing vacations in Scotland, contact our team and let us create a bespoke Highlands getaway for you and your golfing group/family. You can also call us on +44 (0)1835 824 642 to discuss availability of our featured properties.